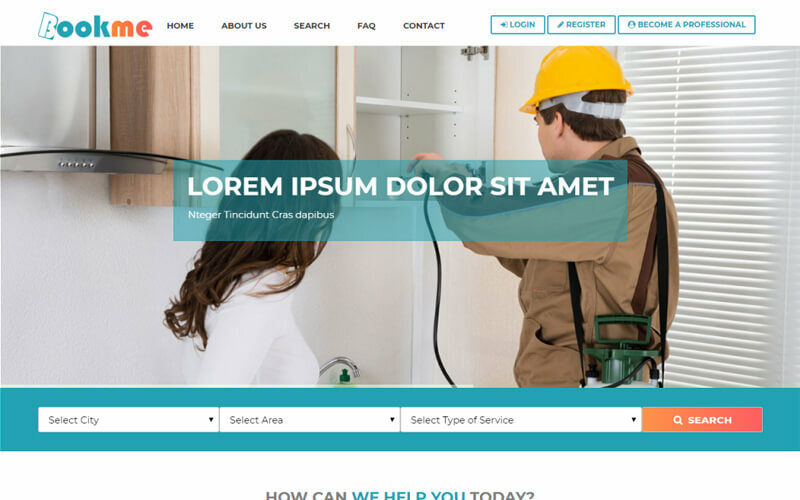 Our Professional Service Script is the high end local business listing script, with huge demand for the society that needs the services by professionals. We are giving one of the best industry need on demand professional service script that would giving you monetary business in the narrow way. In the last 5 years of competitive industries service marketplace increases up to 800 billion dollar business, so it is the right opportunity to take over your own Professional Service Script in un regimented business. Through our script you can start your unique business in one day, the idea of finding our services is reasonable costing household services includes Electrician, Plumber, Interior Designers, wall painters, dry cleaning appliances, driving, transport, pest control, carpentry etc. We are developing a script in the motive to deliver the B2b solution who are in urge to start Professional Service Script with a simple steps, our script added with many functionalities associated with security algorithm in the sense of high level security. On the other hand admin panel supports adding unlimited categories and sub categories with plenty of exciting features as well, according to single or multiple business module our script is compatible well wished. Also we have banner advertisements as the revenue models, so you get profit without much efforts.We have also designed to be mobile responsive and to be SEO-friendly with our advance SEO- friendly coding style in accordance with Google standards. The revenue models include banner advertisements, Google AdSense, Sponsor ads and commission from the vendors. We have integrated secured PayPal as the default payment gateway as well as you can change to preferred payment gateway with customization option.Professional Service Script is developed in PHP and MySQL, so it will support over millions of users in the database with optimized load time. Very nice! Great look design and features user can handle without any problems. Support people dedicated to the work, installation part finished accordingly.